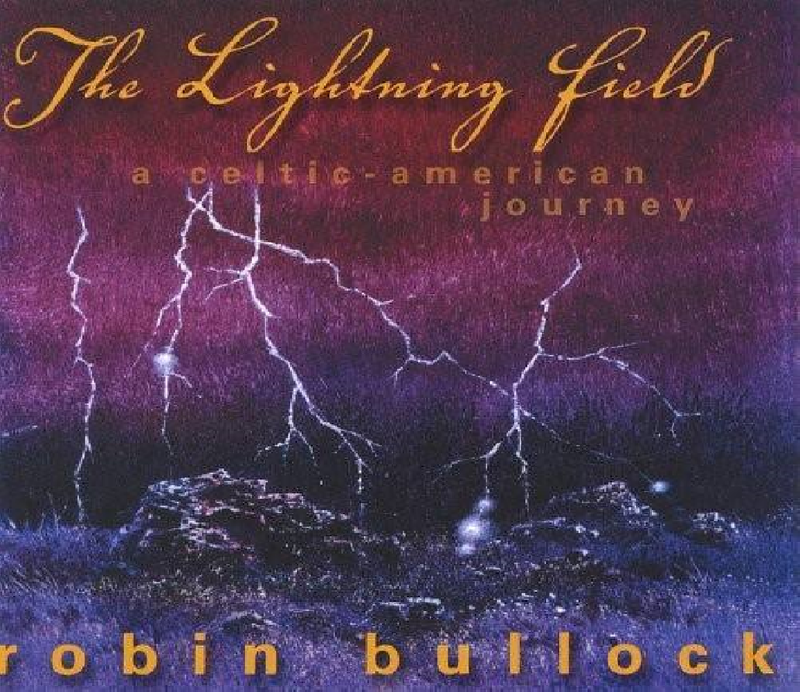 The Lightning Field, Robin's fourth solo CD, is a uniquely beautiful Celtic-American journey. Traditional airs and dance tunes of Ireland, Scotland and America combine with Robin's visionary, tradition-inspired original compositions for an unparalleled listening experience. Riverdance star fiddler Liz Knowles adds her fiery fiddling to Robin's magic on guitars, cittern, mandolin, piano and bass guitar. Indie Award-winning multi-instrumentalist Robin Bullock takes flight in a collection of timeless Celtic melodies and visionary, tradition-inspired originals, creating a uniquely beautiful Celtic-American journey. Robin’s magic on guitar, cittern, mandolin, piano and bass guitar is joined on two tracks by the fiery fiddling of Riverdance star fiddler Liz Knowles. 1 Sean in the Mist / The Trip to Swannanoa (trad. Irish/Robin Bullock) Guitar, two citterns, mandolin, bass, fiddle The title of the second reel refers to Asheville, North Carolina’s magical music camp the Swannanoa Gathering. Titled in honor of a creation by artist Walter de Maria. The Lightning Field is an enormous grid, one mile by one kilometer, of 400 ten-meter-high steel poles erected in the New Mexico desert for the sole purpose of attracting lightning in beautiful patterns across the sky. Composed while on tour in northern California, inspired by the beauty of the landscape and the friendliness of the people. The piano sounds at the beginning are meant to imitate the sound of wind through the top branches of a redwood forest.